More Than Removals is an independently owned and operated Leamington Spa Removals company, providing complete removal and storage services to domestic and commercial clients. With a wealth of experience and expertise, each move we carry our is tailored to our individual clients’ needs and requirements. Our fleet of custom built modern removals vehicles and our Leamington Spa storage unit and depot mean we are ideally located to move you anywhere within Warwickshire, the UK or Europe. 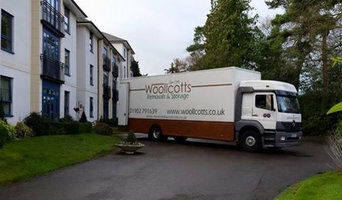 Woollcott Removals Ltd. We have been successfully involved in removals and storage for both the public and business all over the UK for over 60 years. Our highly trained drivers and porters are polite and professional assuring you of a stress free removal. We ensure that your furniture and valuables are protected with quilted suite covers, TV transport cases, hanging garment carriers and protective floor coverings supplied free of charge. Our head office and large storage facility is situated on the outskirts of Wolverhampton close to the motorway network making it an ideal location for local regional and national moves, and easy access to our storage. For your added protection and peace of mind we are members of Move Assured an official accreditation for the removal industry who ensure we maintain the highest standards possible. Paramount Removals Ltd provide professional service in removals and storage with the domestic and commercial market, Paramount Removals have over 25 years experience. recommended by loacl estate agents and loyal customer base. 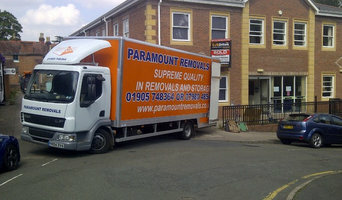 Paramount Removals can taylor your removal requirements to suit your needs. You will have one point of contact from the intial enquiry to completeion of move. Furniture removals in Burton on Trent, Ashby de la Zouch, Coalville, Woodville, Measham and Swadlincote. 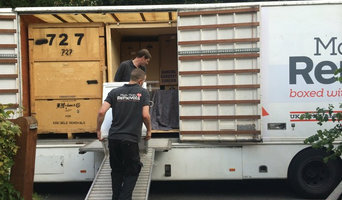 We are an established professional full time house and office removal company based in Swadlincote Derbyshire specialising in two men with a van removals services for small and part house, office and upright or grand piano removals to or from the Midlands providing a reliable service in Burton on Trent, Ashby de la Zouch, Coalville, Tamworth, Swadlincote and the surrounding areas to or from any UK mainland location. Berkeley House Clearance specialise in bereavement house clearance, garage clearance, loft clearance and hoarding clearance throughout Birmingham, Lichfield, Solihull and Sutton Coldfield. Based in Coleshill, West Midlands we supply packaging materials to the house moving and self storage user. From cardboard removal boxes to bubblewrap and foam edge protection. Go online and take a look around our full ecommerce website, call us on 0121 706 4646 or why not pop along to our showroom/ trade counter in Coleshill B46 and take all the storage boxes and packing materials you need. We will even help you with support and ideas. Cheap Coventry Removals provides a man and van service 24 hours a day. We cover long distance removals and student removals with house removals. Target Movers removals & storage are a well respected family run domestic and office relocation companies in Warwick with a depot in Warwickshire. 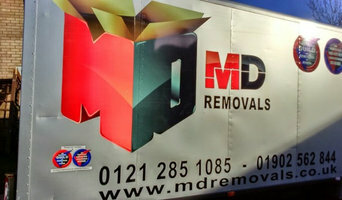 The directors of the business have 25 years of removal experience covering local, national and international removals. We have 2 storage facilities available for long or short term in Leamington spa and Birmingham We appreciate that making sure your move runs as smooth and stress free as possible is important and therefore provide exactly the level of service you expect from professional moving companies. Our friendly office team are always on hand and happy to provide free quotations we can provide loan cartons which are free on most local moves, Our lorries are equipped with wardrobe boxes on the day and use specialist quilted sofa and TV covers where necessary. Our fully trained team will ensure that all your belongings are moved safely and insured. Cheap Burton Removals operates in Burton on trent UK. We are providers for Domestic House removals, Commercial Removals, Man and a van service Burton on Trent and Derby. We also provide large vans and small vans to the public for transporting there items from Burton on Trent and Derby around East Midlands and the UK. We reply to Removal Quotes within the hour. Man With Van Shirley Ltd.
Removals Birmingham are a home removals company based in Birmingham, West Midlands. We provide home removal services covering the West Midlands and also the whole of the UK, Europe and all around the world. In addition to offering removals services, we also provide packing materials, a packing service and storage facilities. All our staff friendly, professional and trained to a very high standard. We are very proud of reputation and aim to provide the best moving experience for customers, through what can be a very stressful time. We are small enough to really care for our customers individual needs whilst being big enough to cope with any type of removal. Midlands Moving Solutions is a removal company based in Wolverhampton with a network of branches throughout the UK. Midlands Moving Solutions was founded on the principles of giving customers a friendly, professional and helpful moving service, tailored to individuals needs offering these services throughout the UK and Europe. Our relocation services have gained an enviable reputation for maintaining these values alongside the impeccable planning and expert consultation thats needed to ensure your removal is successful which will make you want to recommend and use us time and time again. Why should I hire Birmingham, West Midlands removal companies? Some house removals will involve total house clearance work – perhaps you’re stripping bare your old place and redoing it before selling it on? Or if you only need a few large items moved, there are lots of removal companies in Birmingham, West Midlands that will be happy to offer furniture removal, and may even be willing to take items to the tip for you if you’ve decided to get rid of them. If you find a reliable man with a van in Birmingham, West Midlands, he may be able to accommodate you throughout your whole move – helping you with house clearance, taking items to the tip, to storage containers, to salvage yards and finally helping to move everything into your new place. A Birmingham, West Midlands man with a van service is often a bit more flexible than a removals company, so consider individual movers as well as large firms when you move. If you’re moving at the same time as carrying out renovations, you may need to liaise with your other contractors as well as Birmingham, West Midlands removal companies to make sure the move and house clearance can go as seamlessly as possible. Here are some related professionals and vendors to complement the work of removal companies: . Find removal companies on Houzz. Narrow your search in the Professionals section of the website to Birmingham, West Midlands removal companies and man with a van services. You can also look through Birmingham, West Midlands photos to find examples of house clearances and moves, then contact the professional who worked on them.